A nine-year-old US citizen who crosses from Mexico into California every weekday for school has told how she was terrified when she was detained for more than 30 hours as border agents probed her identity. 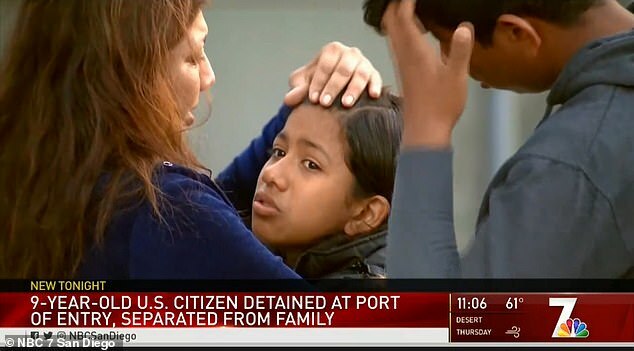 Julia Isabel Amparo Medina was stopped Monday by US Customs and Border Patrol while attempting to cross from Tijuana, Mexico, to San Ysidro, California, to attend school, as she does each weekday, at Nicoloff Elementary School. The school is only six miles away from the city where she lives. 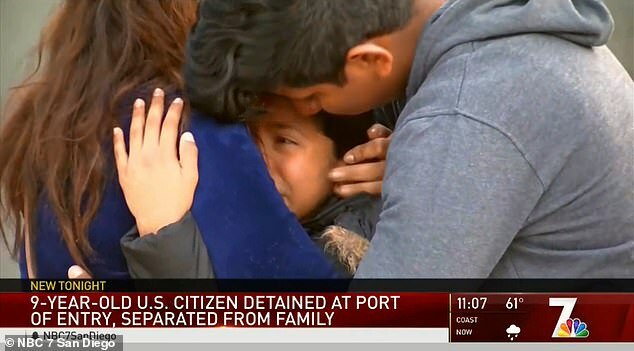 Her mother's friend was driving her along with her brother and the woman's own two children on Monday but traffic was at a standstill so she told the kids to get out of the car and walk the remainder of the distance across the border. She said she would then order them an Uber to take them the remainder of the way to their respective school but the kids were stopped before they could make it. 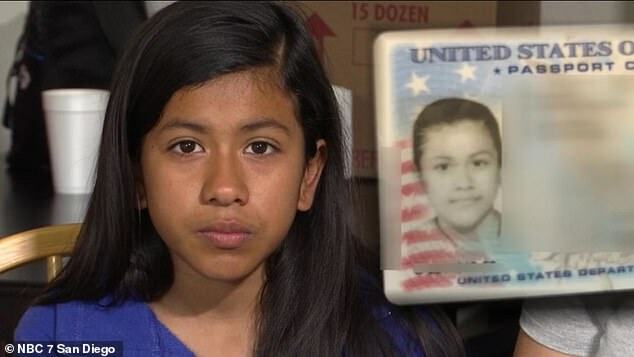 Border agents who inspected her passport card said she no longer looked like the picture. They detained her and her brother and then accused the pair of lying, insisting Julia was in fact her cousin. 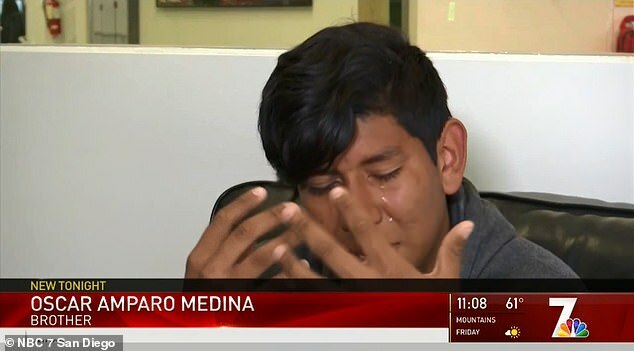 After more than 30 hours and following the interference of the Mexican consulate, the child was released on Tuesday. 'I was scared. I was sad because I didn't have my mom or my brother. I was completely by myself,' she told them. 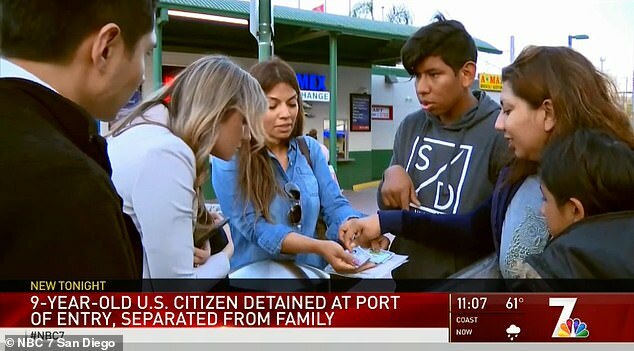 Oscar was not detained and it wasn't until 6pm the following day that her mother, Thelma Galaxia, received the call that her daughter would be released at the San Ysidro port of entry. Regarding the 32-plus hours it took to sort out Julia's valid citizenship status, Public Affairs officer Jackie Wasiluk told NBC 7 in a statement: 'Some specifics of our techniques for determining the true identity of a person crossing the border are law enforcement sensitive information. Julia and her family shared their version of what happened, painting a picture that would be frightening for anyone, let alone minors without the guidance of a trusted adult at their side. 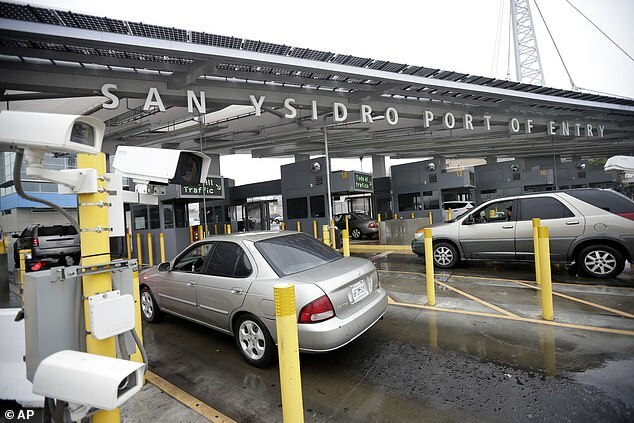 The family said Julia and Oscar were in a vehicle in line on the Mexico side at the San Ysidro border crossing with family friend Michelle Cardenas and her two children at around 4am on Monday. 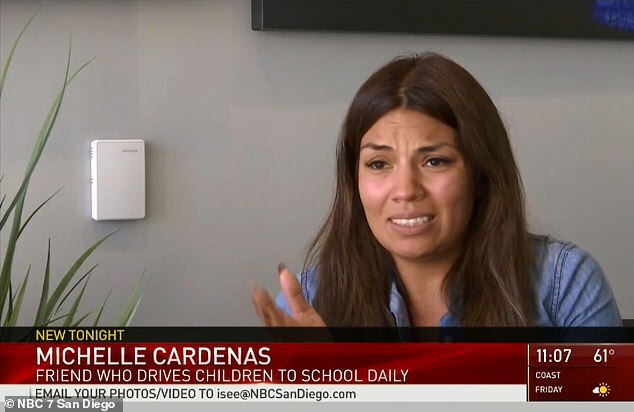 The line was long, Cardenas said, so she told the children to get out and walk across the border, with a plan to call them a rideshare to take them to their respective schools so they wouldn't be late. Oscar attends ninth grade at San Ysidro High School and Julia is in the fourth grade at Nicoloff Elementary School, but neither of them made it to their classes that day. Agents allegedly told Julia that she didn't look like her passport photo, which was taken when she was younger. In the US, passports for children under the age of 16 are valid for five years, per the US Department of State Bureau of Consular Affairs. 'My daughter told her brother that the officer told her that if she admitted that she was her cousin, she would be released soon so she could see her mom,' Galaxia said. 'It’s important that CBP officials positively confirm the identity of a child travelling without a parent or legal guardian,' Wasiluk said. Oscar said agents forced him to sign a letter stating Julia was their cousin, Melanie, after accusing him of crimes he didn't understand. 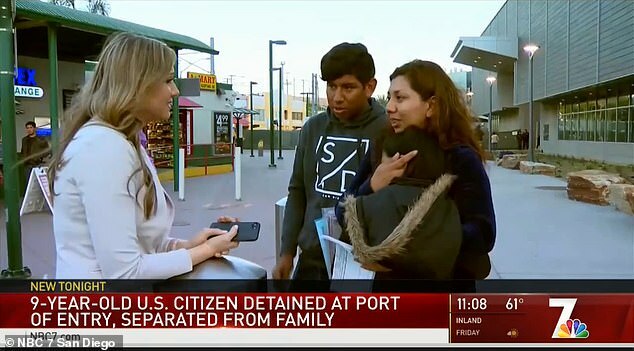 Galaxia got the Mexican consulate involved, and nearly two days later she was reunited with her daughter, in a tearful embrace with her son at the San Ysidro port of entry.